I have a habit of trying new things. That actually is a secret to keep my life interesting. No, this is not leading to another bedroom curiosity. I really mean trying something new in normal life would make it worth living. Past few days I had tried WordPress and blogging, now just to have some change yesterday I tried cutting my hair. Never done it before. Why? Because I was just curious. And guess what, it came out awesome. It looks like one of those hair cut that I usually pay for. That curiosity of mine is something that keeps me going. Ages ago I used to love doodling and cartooning in my free time. Now, lately just to keep my blogs interesting I started doing it again. And just for a change I also cut my hair myself yesterday. Well, in my case I get tired of same life doing things over and over. I need change. May be we all need change in our routine. I have seen lots of people complaining of being tired and bored of their same old routine. Jazz things up a bit my friend. Do something new today. Keep your life interesting. 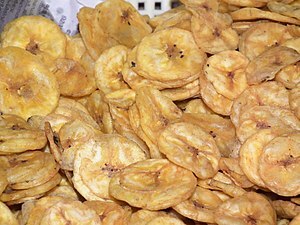 If you liked reading this share it and before you leave have some plantain chips. I bought them yesterday, they are good. This entry was posted in blogging, creativity, inspirational, random thoughts and tagged art, banana, be happy, blog, change, complaining, creative, feel good, feel happy, follow, happiness, happy, how to, inspiration, inspirational, inspire, keep it interesting, keep things new, laughter, learn something new, life, life lesson, looking for change, optimism, wordpress. Bookmark the permalink. Hi there fantastic website! Does running a blog such as this take a lot of work? Hello, Im sorry I cant be sure of replying as your id does not seem like a real person? just making sure this is not something spam. no offense. write me back again if you are a real person.